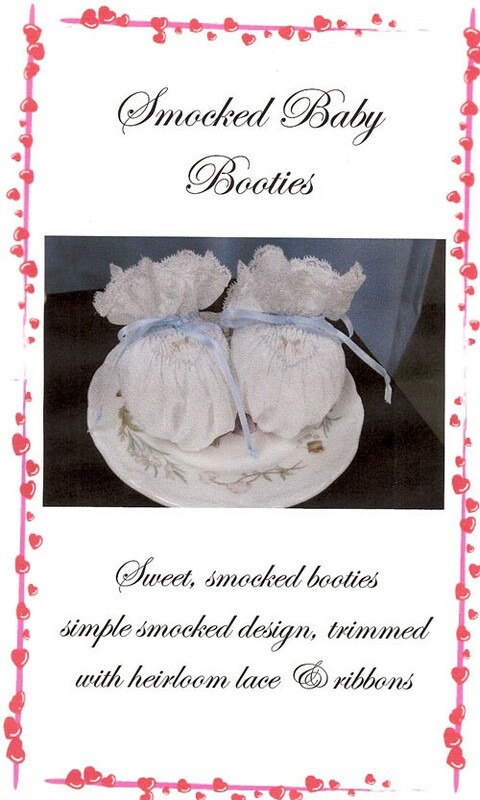 These lovely booties are easy to smock & construct! They can be done in a few hours & make excellent baby shower gifts. Make them a part of a complete layette.